Hooray! Memorial Day weekend is here! A chance to sleep in. To play an extra round of golf with our buddies, or to finally get around to planting the garden. Steaks or chicken ready for the barbeque, and don’t forget to open up the pool as Summer is unofficially beginning. After the long winter in the Northeast, these are undeniable pleasures as I smell the freshly mowed grass, the fragrance of the lilacs, I hear the peepers at night, and enjoy an outdoor meal again listening to kids playing stickball and having fun. The parades will be entertaining; the marching bands, the little leaguers, and the Shriner’s. Our way of life has been paid for by the bravery of our soldiers who understood the call to duty. They have done it because they have been asked to do it, so that we may all live in freedom. Whatever our political, religious, and moral beliefs about war, there continues to be a need for a military that protects and defends our families from the evil in the world that continues to challenge us. Lets take a moment on Monday to “observe” a moment of silence as a tribute to our country’s brave, fallen brothers and sisters and fathers and mothers; uncles, aunts, grandfathers and grandmothers, who unselfishly gave their all for us. And to those brave soldiers of my generation, the Viet Nam vets, I salute you for your unappreciated service. You may be alone, but you are not forgotten. Great post. 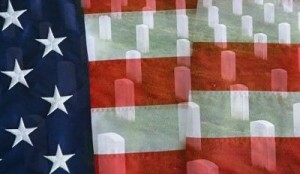 I am fortunate to live in the greatest country in the world, but the freedoms that we enjoy are definitely not free. Many people today seem to forget (or sadly, maybe they never knew) that our country was founded on the idea of freedom from oppression and fighting for what’s right. These principles are not lost on me and never will be. Thank you to all the brave men and women who serve our country today and have done so since the birth of our nation. We are forever indebted to you.